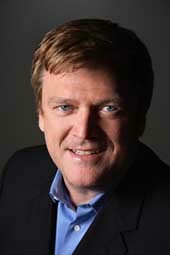 Two and a half years ago, Overstock.com CEO Patrick Byrne penned an editorial for The Wall Street Journal, warning that widespread stock manipulation schemes - including abusive naked short selling - were threatening the health of America's financial markets. But it wasn't published. "An editor at The Journal asked me to write it, and I told him he wouldn't be allowed to publish it," Byrne says. "He insisted that only he controlled what was printed on the editorial page, so I wrote it. Then, after a few days, he got back to me and said 'It appears I can't run this or anything else you write.'" In the wake of the SEC's crackdown, the mainstream financial press has acknowledged that widespread and deliberate naked shorting can artificially deflate stock prices, flooding the market with what amounts to counterfeit shares. But for years, The Journal and so many other news outlets ignored Byrne's warnings, with some journalists - most notably a Forbes.com columnist and former BusinessWeek reporter named Gary Weiss - painting the Overstock CEO as a raving madman. A single Wikipedia edit also links the Mantanmoreland account to a PC inside the Depository Trust & Clearing Corporation (DTCC). Owned by Wall Street investment banks that may have benefited from naked shorting schemes, the DTCC oversees the delivery of stocks on Wall Street.